Doors are made of bamboo plywood, insides are made of black melamine sheet material. 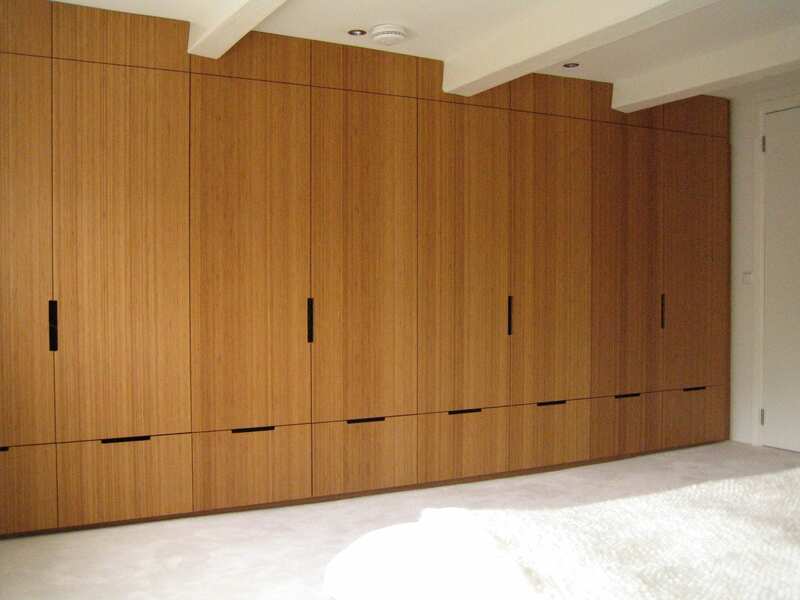 The wardrobe runs from wall to wall and from floor to ceiling, taking extra care to work around the floor joists. It consists of four cabinets with double doors and a total of eight drawers. 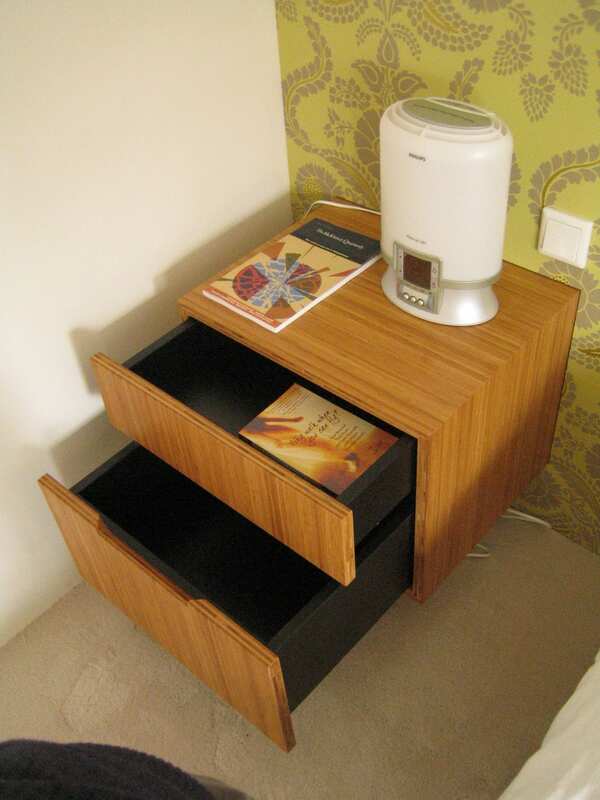 Doors and drawers have soft-close hinges and drawerslides. The wall units are situated underneath the slanted roof of a loft. 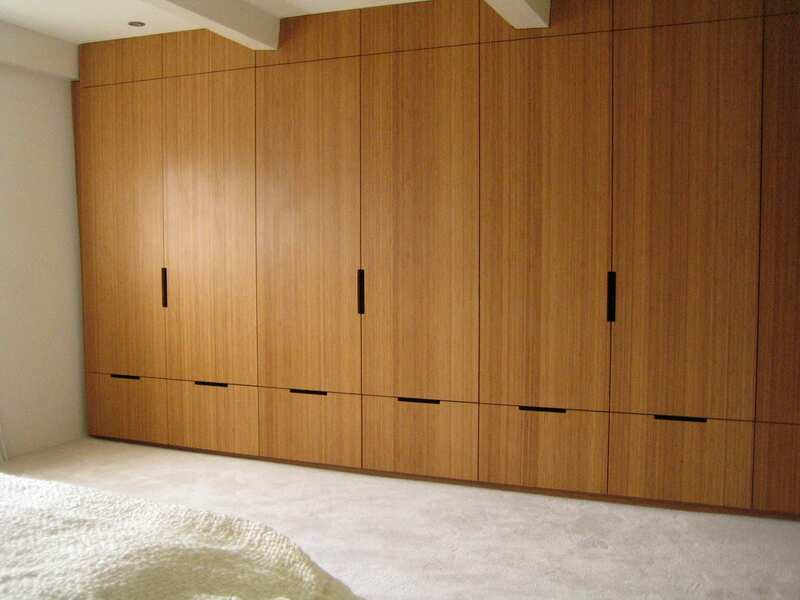 The backs are partially left out, creating access to the slanted space behind the wardrobe. This creates extra storage space for suitcases and such. 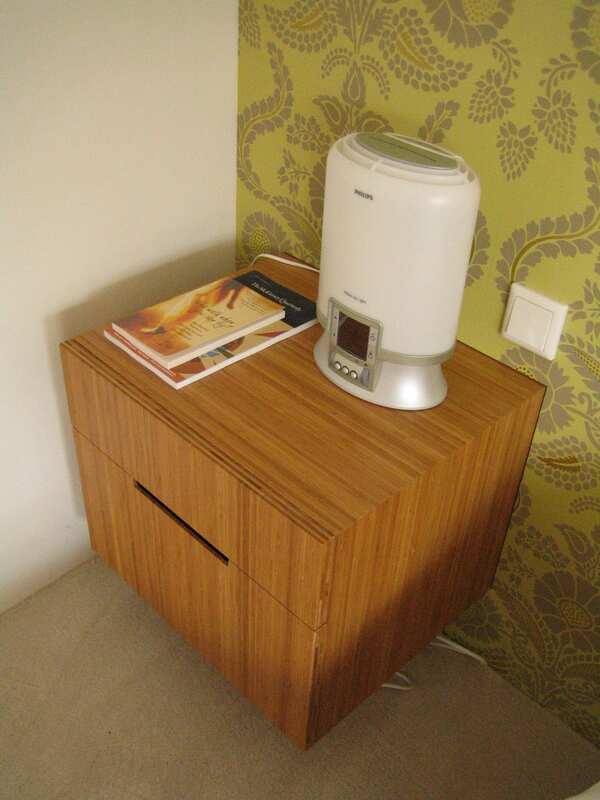 The plywood is cross-laminated bamboo throughout. There is no need for extra trim around the edges; instead these edges become a decorative detail. The figure of the wood continues unhampered from doors to drawers, and the caramel colour of the doors contrasts beautifully with the black inside. Dimensions: 440 x 230 x 70 cm.